For further information or advice, please contact the Gloucester Dock Office on 01452 318012 or at [email protected]. I think it means that they cannot leave the lock full as the leak is draining it. I'd taken it to mean they can't get the lock full - which would mean forcing the gates open against a head of water. 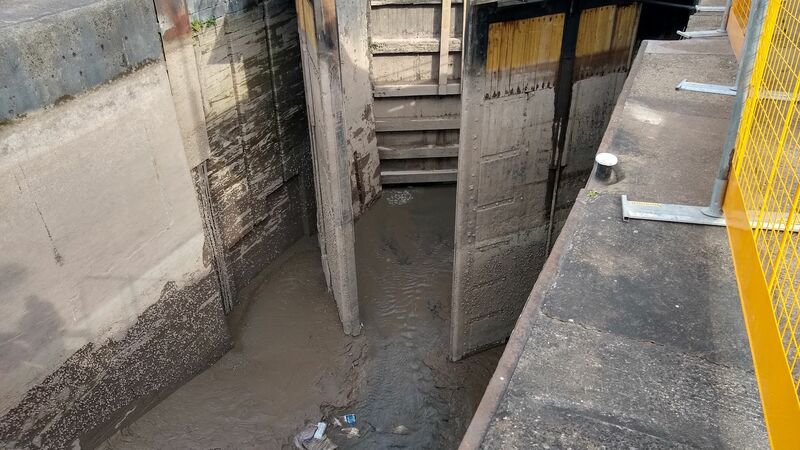 A lock gate connecting Gloucester Docks to the River Severn is closed after a “severe leak” was discovered. 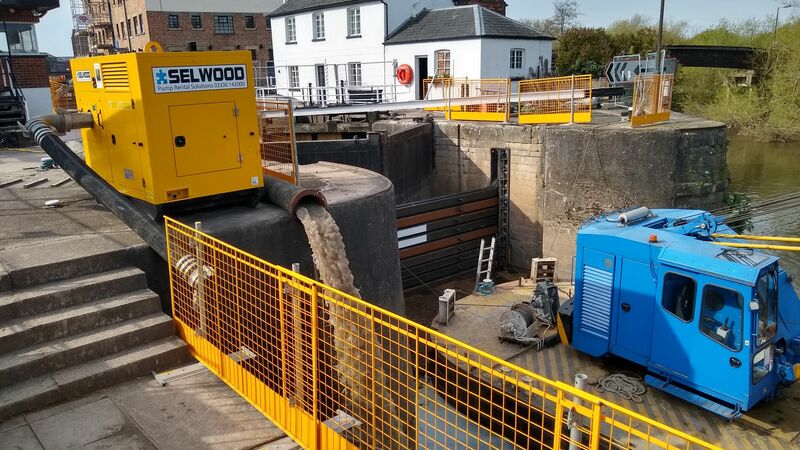 No barges will be allowed into the lock while crews start to repair, and possibly replace the lock gates – an operation which could cost as much as £30,000. It is not known how long the lock gates are out of bounds for but it is expected that work to repair the gates will take place on Monday, January 28. 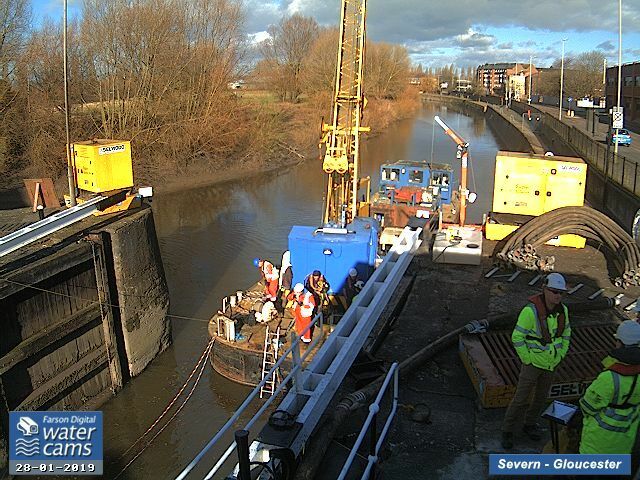 Found this webcam of the lock - have to watch a short advert first. No action at the moment. Despite our best efforts this week, we have been unable to dewater Gloucester Lock due to the high rate of inflow of water from both the top end (top gate/paddles) and the bottom end of the safety gate. So next week we are going to improve the water tightness at both ends with the intent to facilitate dewatering the lock and effecting repairs to the cills. We expect to be able to start this by 11th February. Regrettably this may mean the stoppage extending beyond w/c 18th February. 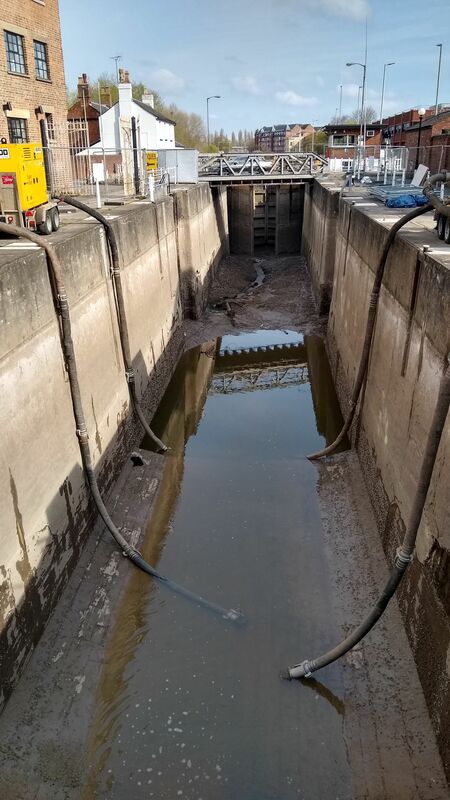 CRT are still having problems regarding de watering the lock due to leak from top gates and high tides, alternative pumps will be installed next week. stoppage will continue for some time as the bottom cill requires attention. We will report any further progress as it occurs, but our timeline for completion is still uncertain. I was at the lock today and it was empty of water. Cheers for the pics Rick n Jo- been following this one and nice to see whats going on.. There was a report on the local news tonight and they said they were hoping to be open within 10 days. There has been a number of unforeseen challenges, seeing a guy wading thigh deep in silt highlighted one of the problems. Your spell-checker has politely changed the last sentence to say "thigh deep in silt"